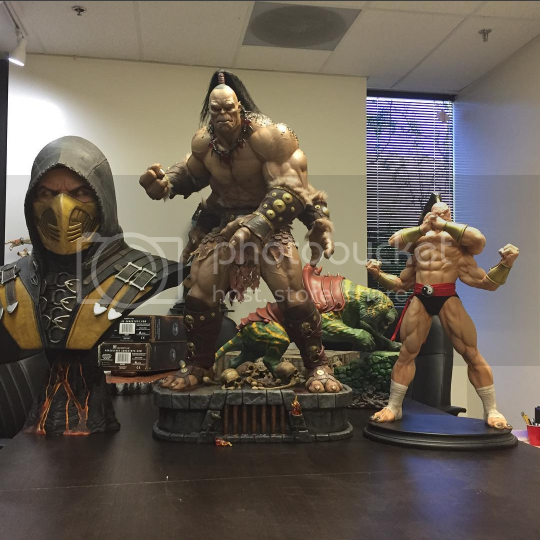 Once again, another round of updates and teases from PCS on our favourite Mortal Kombat statues! 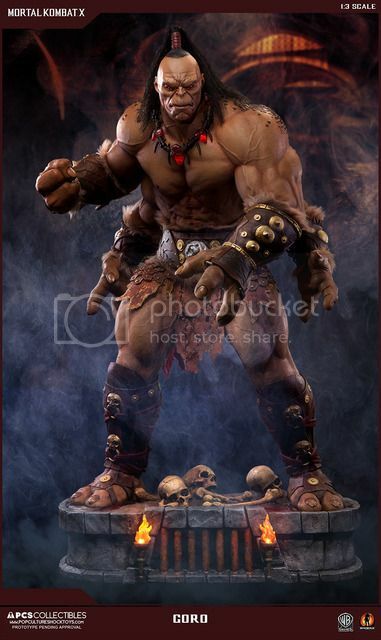 The 1/3 Goro just went up for PO yesterday and at the point of this update, it's officially SOLD OUT! It wasn't by any means, 'affordable', but the very low ES of 150 pieces and basically, just the beauty of this had enough collectors making this a sell-out in less than 24 hours. Yes, I got one from SimplyToys which is based locally for me. Pretty much getting myself knee-deep into this 1/3 line even though I was reluctant at first.. 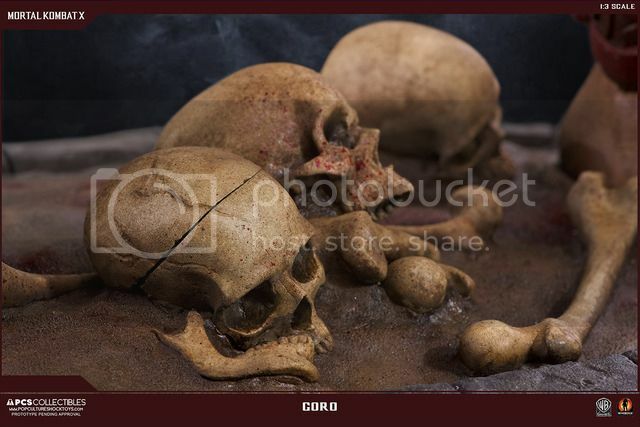 This is Mixed Media of course, so here's Jerry's post about the materials.. Synthetic hair, which means you can comb it. I'm not much of a fan over the spread-out hair in the pics above and would prefer it to be more of a slick ponytail, so it's good that it can be adjusted. The wife's definitely not going to be impressed when she sees me combing my 'dolls'! 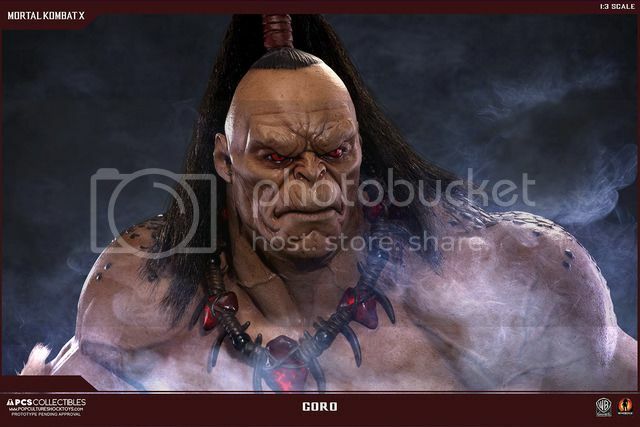 As much as the pics above are impressive, you can't see the true massiveness of this 1/3 Goro unless you have some comparison pics.. and PCS teased them in abundance. 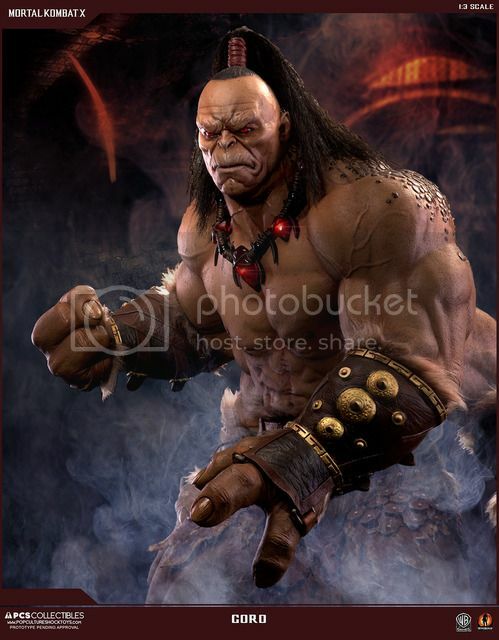 Funny how, when I received the 1/4 Klassic Goro, I thought to myself that this will be one of the biggest statues I ever own... 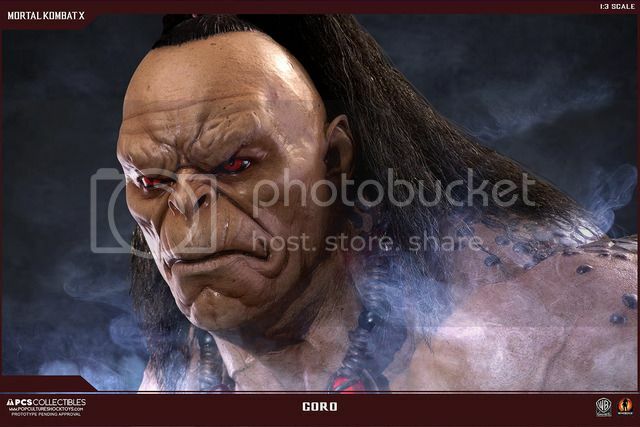 Turned out, I have got a few large-scale statues after that but this.. this 1/3 Goro is just going to sweep it away! If you thought that was amazing.. look on below.. 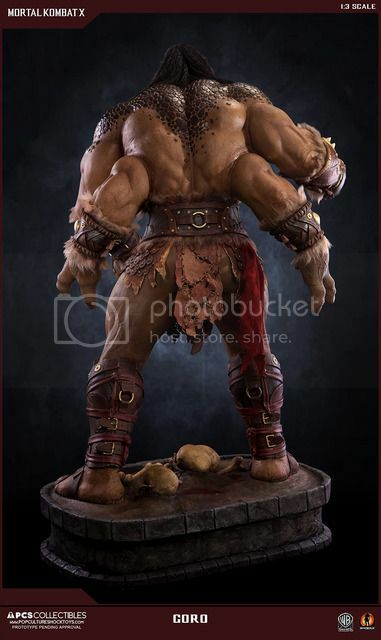 Forget the 1/4 Goro, this Monster is going to overshadow even the other 1/3 Statues! And.. who do we have at the side? 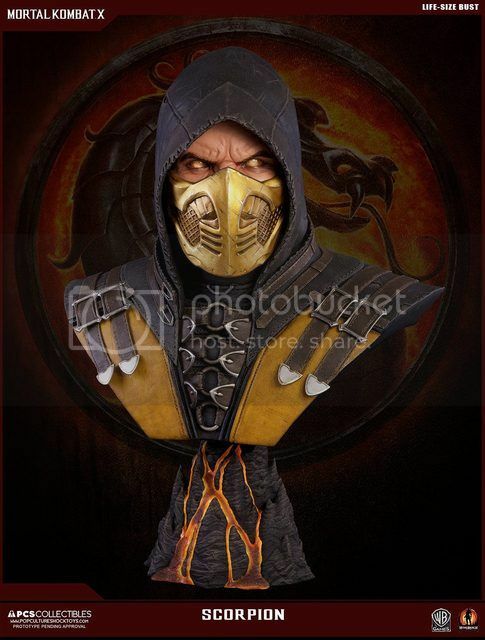 The Life-size MKX Scorpion Bust! Another beauty by the PCS Team! If I had any doubts about getting this, that last pic just did it for me. 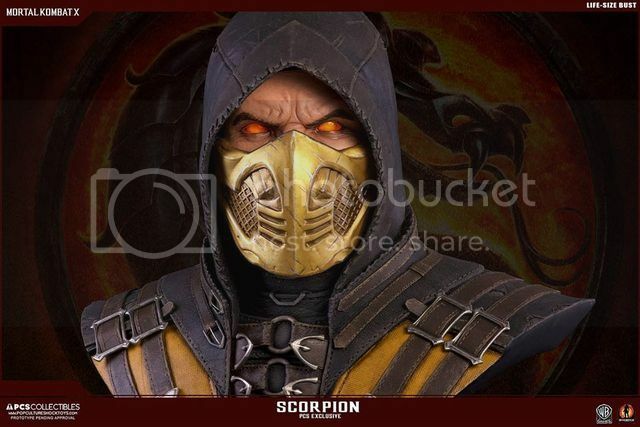 Super, super realistic! 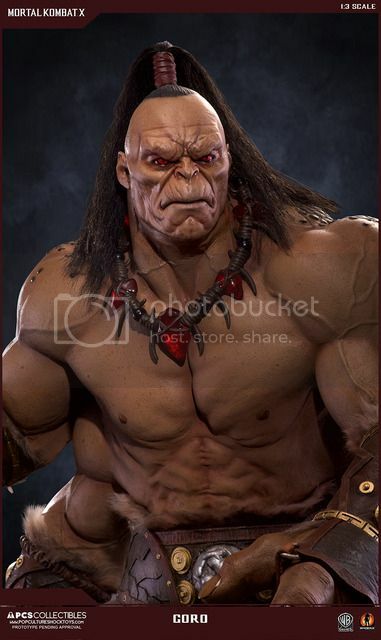 That looks like cosplay rather than a sculpted piece if you ask me.. This one is still surprisingly available for PO if you haven't gotten yours yet. These busts are extremely limited so you wouldn't want to miss these. 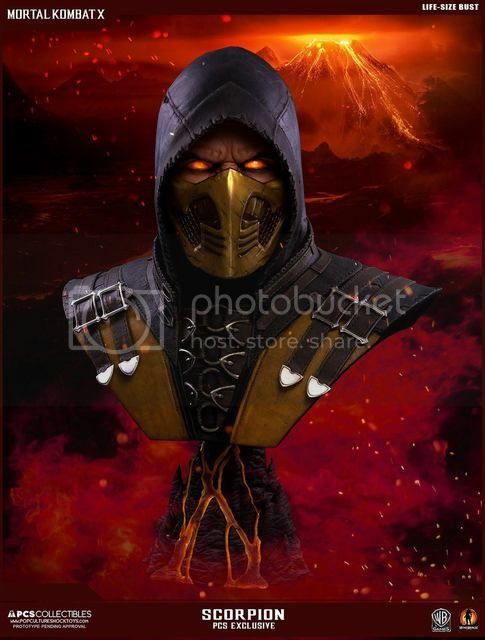 Unfortunately, there doesn't seem to be many new teases for Mortal Kombat..
We might get another 1/3 which will most probably be Raiden or Shao Kahn.. No updates regarding the previously shown D-vorah or Tremor for the 1/4 MKX line. Also nothing for the 1/4 Klassics. With the new Power Rangers movie coming out, I can imagine PCS will be turning their focus to that.. I definitely welcome a break from POs. I think there's just too many POs coming in quick succession whereas the statue production itself seems to be a long way away. 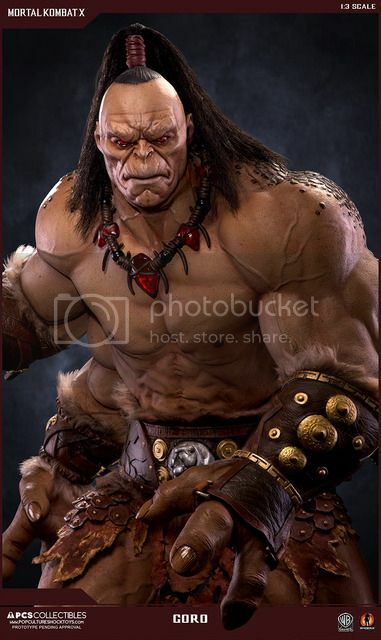 I have been advocating for POs to start closer to the start of the production to reduce the wait. So, maybe the next few months will be quiet. 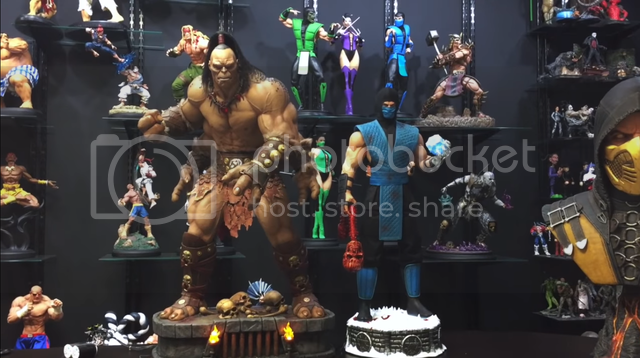 Of course, there's several MK Statues due to be released in the coming months and I still have to pay for the final installments and shipping, so yes I definitely want a break. At the same time, I'm a little concerned on what the future holds..
Action figures? While it will be cool, I say leave that to others and keep producing more statues! 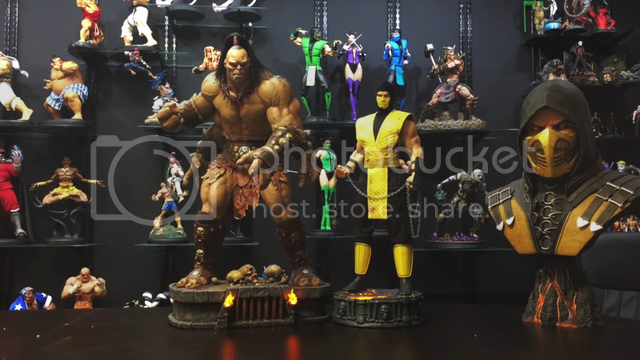 Speaking of releases, here's a couple of official un-boxing videos of a few statues that are shipping now. Shipping notices have gone out so don't forget to pay them. That's a lot of Jerry for 1 day.. Haha! 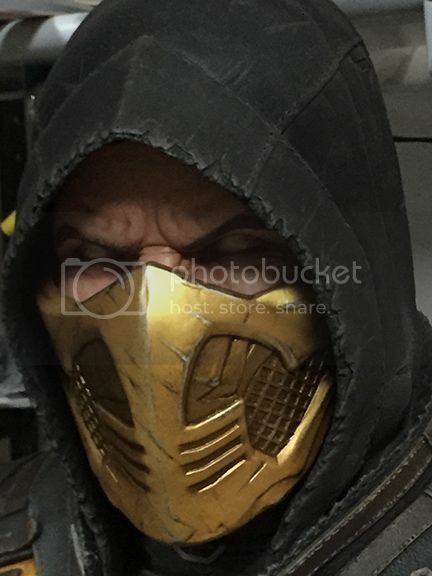 I have already gotten my Sub-Zero, you can see the pics here. Do note that I took pics before adjusting the mixed media properly. So I'll re-upload some pics soon. That said.. the piece that I got definitely doesn't have the same amount of blood as shown in the video above. Hmm.. 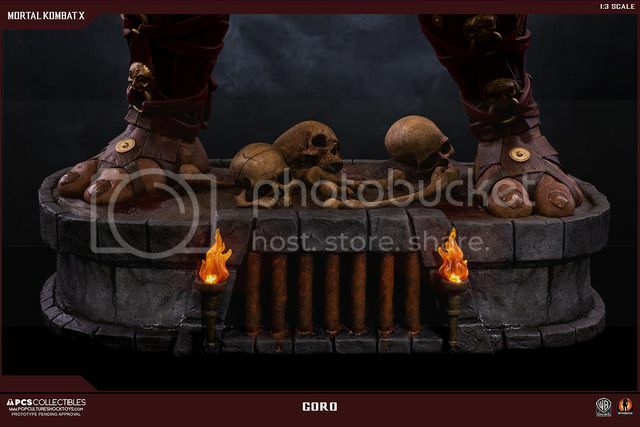 I got mine from SimplyToys so I wonder if those who purchased from other sources can send theirs to get the blood effect added on. 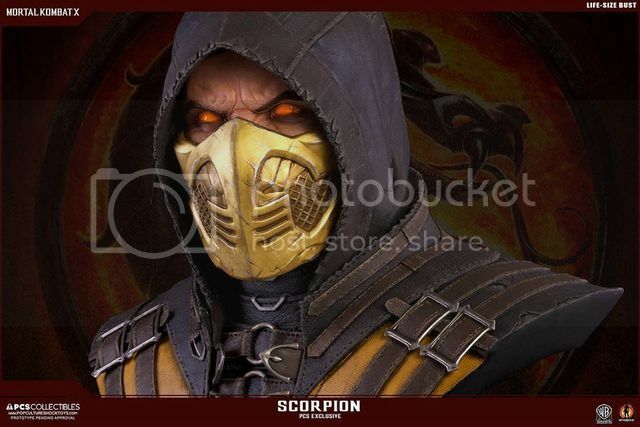 Unfortunately the Goro PO has put me behind for the final payment & shipping costs for the 1/3 Scorpion, so I will have to wait for a while more to get mine. I also received the 1/4 Raiden a few days ago, yet to even un-box it. So, will get pics uploaded asap for these. That's all for this update! Hope I haven't missed anything crucial and looking forward to posting another round of updates & teases when we get them! 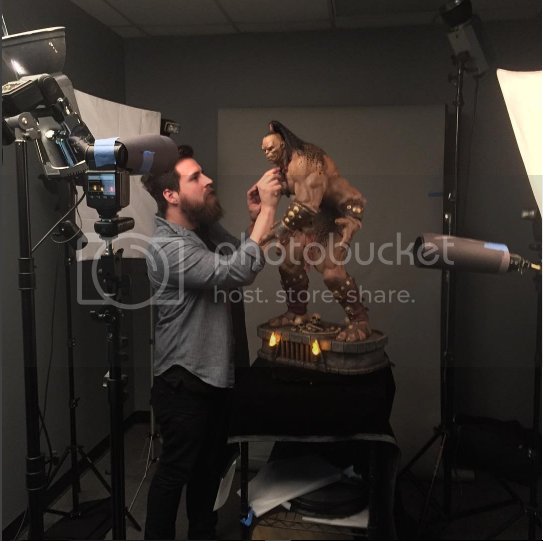 Uncharted 4 Statue new pics! Final Fantasy Boss Flavoured Cup Noodles? ?